On WEDNESDAY, AUGUST 15, 2018, STUNNA presents a very special edition of 'THE GREENROOM' on BASSDRIVE Radio. In this week's episode, we're treated to a guest mix from a DRUM+BASS label that's been moving strength to strength since its inception two years ago. 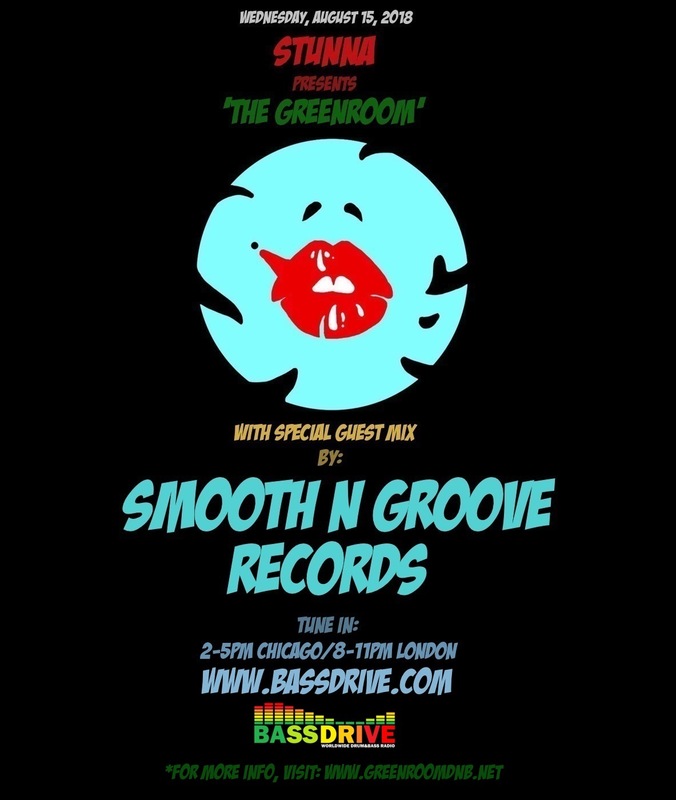 SMOOTH N GROOVE RECORDS return to the friendly confines of 'THE GREENROOM' armed with an exclusive set featuring healthy dose of new and forthcoming music signed to the imprint. Dedicated to bringing its listeners atmospheric, funky, soulful, and rolling vibes, SMOOTH N GROOVE RECORDS (based out of both WASHINGTON, D.C. and NORTHAMPTON, UK, respectively) was launched in 2016 and within its first two years of activity has released a flurry of stellar music from its top tier stable of artists. Revered producers A.K.A, BLADE, CONSPIRE, GREEKBOY, FURNEY, JRUMHAND, MADCAP, mSdoS, PAYBACK, SOUL CONNECTION, and WYMAN are just the beginning of the list of talented producers and DJs on the label's roster. Join us this session as SMOOTH N GROOVE RECORDS man the decks and give a sneak peek of the future as they premiere exciting music forthcoming on the label. Tune in!! !